Another supporter captured, e-Learning Porirua when we celebrated not only the achievement of having influenced the lives of 2,000 low-income families in Porirua but also honoured those who have supported the Trust during its journey over the years or been valuable sponsors. Not all the people we wanted to honour were able to be there on the night but they haven't been forgotten! 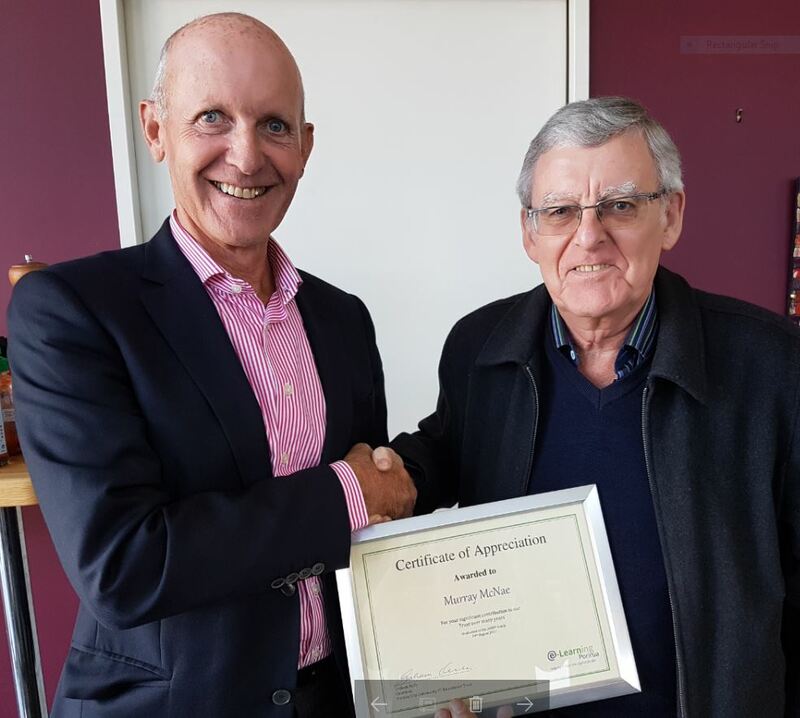 And so it was that Graham Kelly, Chair of the Trust, caught up with Murray McNae on Monday 23 April 2018 and was finally able to present him with his certificate. As we said in our article following 14 August, Murray McNae was a foundation Trustee, having worked in the IT industry and served on the Board for many years. He brought management, governance and technical skills to the Trust to allow it to make sound decisions about its development and operation. His experience in these fields was invaluable to the Board and helped set a solid foundation for its future direction and success. It was great to catch up with Murray and recognise his invaluable support over the years. Original generation time 1.4947 seconds. Cache Loaded in: 0.0084 seconds.